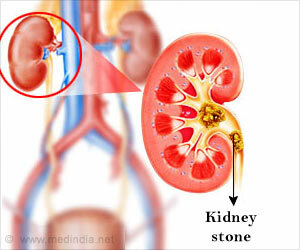 Up to 15% of the Australian adult population and 1 in 11 people in the United States suffer from kidney stones. Kidney stones can range in size from a grain of sand to a pearl or even larger, and can be excruciating to pass through the urinary tract. Patients with kidney stones were treated with the drug Tamsulosin in an Emergency Medicine Foundation Australasia (EMF) funded clinical trial run across five Australian hospital emergency departments. Trial leader and specialist emergency medicine physician at The Townsville Hospital, Dr Jeremy Furyk, said Tamsulosin was normally used to treat an enlarged prostate, but the research team found the treatment could also assist the passage of large kidney stones in the urine. “Kidney stones are a bit of a mystery, occur frequently in the community and generally affect young, healthy adults,” Dr Furyk said. It can be extremely painful to pass these jagged little crystallized minerals and it is very common for sufferers to go to an emergency department for treatment. Among the more than 400 patients in the trial, those who received Tamsulosin passed their large kidney stones more often than the placebo group. “This means patients with large stones might not need more complicated treatments including surgeries, and this has potential to improve care and reduce costs. We’re very excited because Tamsulosin treatment may also allow patients to be treated closer to home rather than needing referral to a major centre.”Dr Furyk said. EMF Australasia awarded more than $270,000 to support Dr Furyk’s research, through its Queensland Research Program, which is funded by the Queensland Government Department of Health. EMF Australasia Chair, Associate Professor Sally McCarthy said this research had the potential to help millions of Australians suffering with this extremely painful condition. It may also have implications for patients living in rural and regional areas, where access to urologists – the specialist doctors who treat this condition – can be limited.